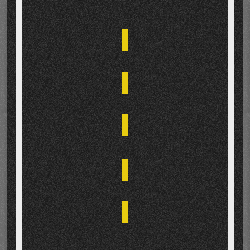 A single, broken yellow centerline shows the center of a two-way, two-lane road. Passing is permitted on either side, if safe conditions exist. When passing, you must use the lane belonging to oncoming traffic.